There have been a lot of changes in the gin market over the past few years with a lot of new additions, flavors, and styles. Perhaps the most significant addition to the category is the class of gins that fall under the heading New American Gins. These gins often pull from a different botanical mix than the traditional London Dry Gin, with a strong focus on the flavors beyond juniper. Many of the major gin companies have responded to this expanding landscape with new offerings which provide a wider range of flavors. Bombay Sapphire was one of the early entries into this expanding landscape. While it is a London Dry style gin, it’s designed to be lighter and softer in order to appeal to crossover vodka drinkers who are discovering gin. Bombay Sapphire also fits quite well in drinks which benefit from a less assertive gin, like the Tom Collins or Red Snapper. Bombay Sapphire has been so successful that it’s pretty much overtaken the Original Bombay London Gin, a much more traditional style London Dry gin, which has now become much more difficult to find. Bombay Sapphire East Gin (42%, 84 proof $35) is an interesting extension in the Bombay Sapphire brand. 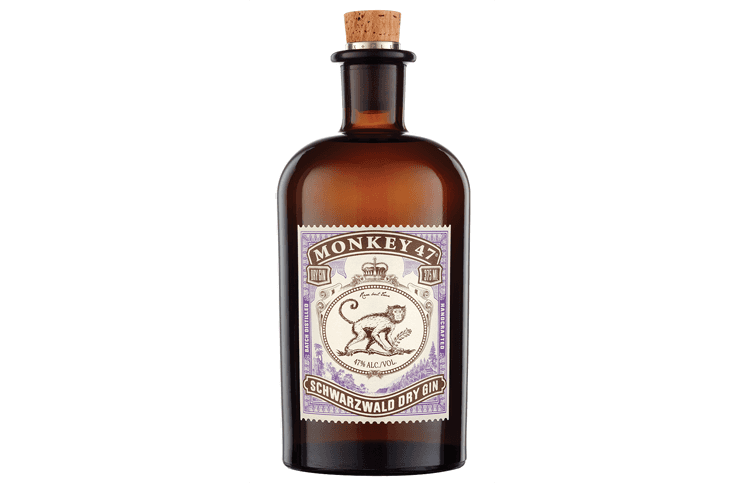 It features all of the botanicals from Bombay Sapphire (juniper, grains of paradise, lemon peel, cubeh berries, coriander seeds, angelica root, almond, orris, and licorice) and then adds lemongrass and black pepper. These two new botanicals clearly stand out in the nose of the Bombay Sapphire East Gin, giving it a spicier and fuller nose. The lemongrass seems to also boost the lemon in the nose and the black pepper boosts the juniper. Other than that, the nose is fairly true to Bombay Sapphire. 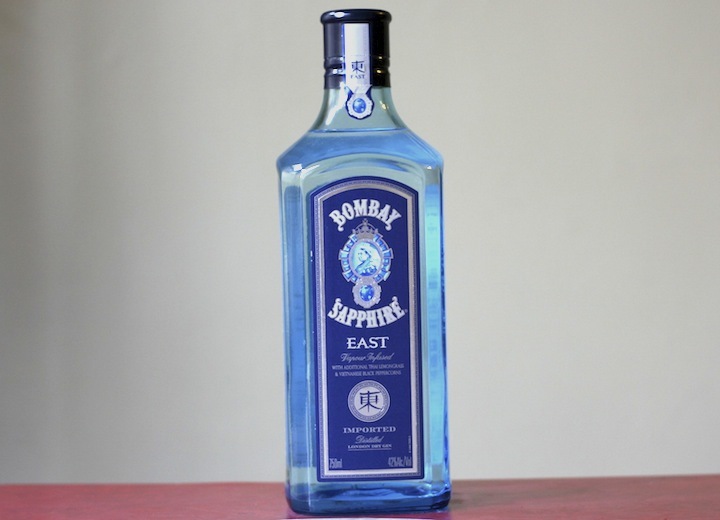 As with Bombay Sapphire, the Bombay Sapphire East is a lighter style gin. The entry is soft with fairly soft flavors. As with the nose, the lemon and lemongrass really stand out with the black pepper and juniper not far behind. 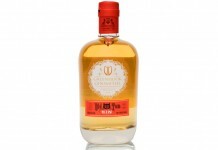 Flavors in this gin are fairly light and subtle, there’s nothing overly assertive or agressive in the mix. The finish on the Bombay Sapphire East is a little more singular than Bombay Sapphire. Although it’s subtle, you do get a lot of the other botanicals presenting themselves in the finish of Bombay Sapphire, including coriander, lemon, orris, and licorice. With the Bombay Sapphire East those notes are nearly lost, with lemongrass and pepper taking over. Bombay Sapphire East Gin has put “Vapor Infused” on the front of the label which reflects the way in which they handle the botanicals for both of the Sapphire gins. Most gin producers will steep or macerate their botanicals in neutral spirit before distilling, whereas Bombay uses a botanical basket hung in the still which the vapors from the distilled neutral spirit must pass through in the distillation process. 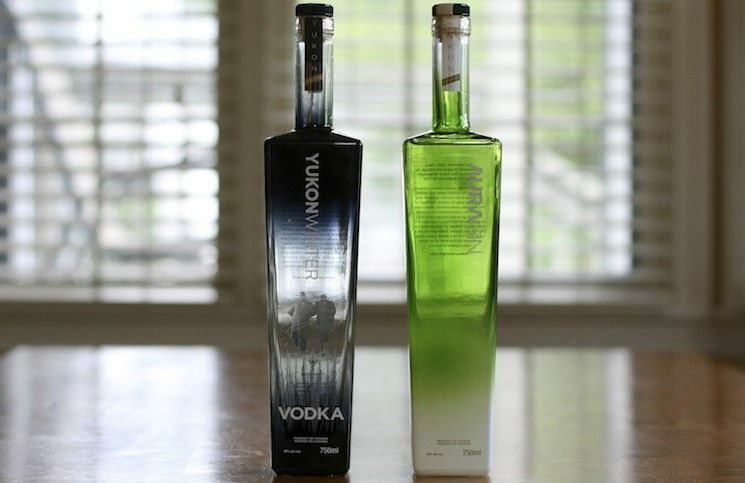 Both are perfectly acceptable ways to make gin, with the Sapphire way resulting in much lighter flavors. The addition of lemongrass and black pepper are good flavor notes to add to the mix of gin, but they seem to dominate things a bit. Bombay Sapphire is a wonderfully balanced gin and that balance isn’t a strongly captured here. That being said, Bombay Sapphire continues to inhabit an important space in the gin market, a true cross over gin that helps ease people into drinks with a light botanical touch. While we prefer the original Bombay Sapphire, the Sapphire East brings some nice flavors into the mix which in the right drink, like the red snapper (a bloody mary with gin), are really quite nice.